I travelled to Cuba a couple of years ago on an amazing gastro and cultural tour of Havana and the surrounding area. 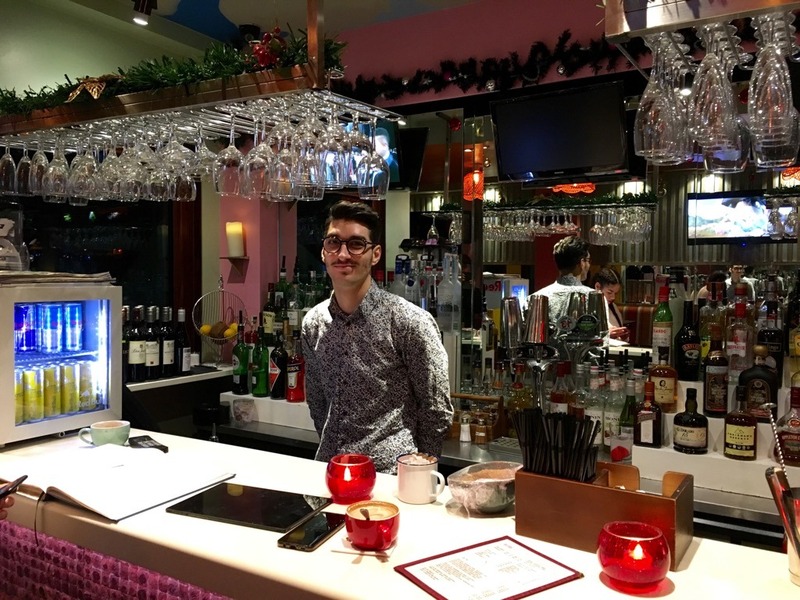 So I was a bit dubious when asked to review Little Havana, a new bar and restaurant on Camden’s lively Inverness Street. 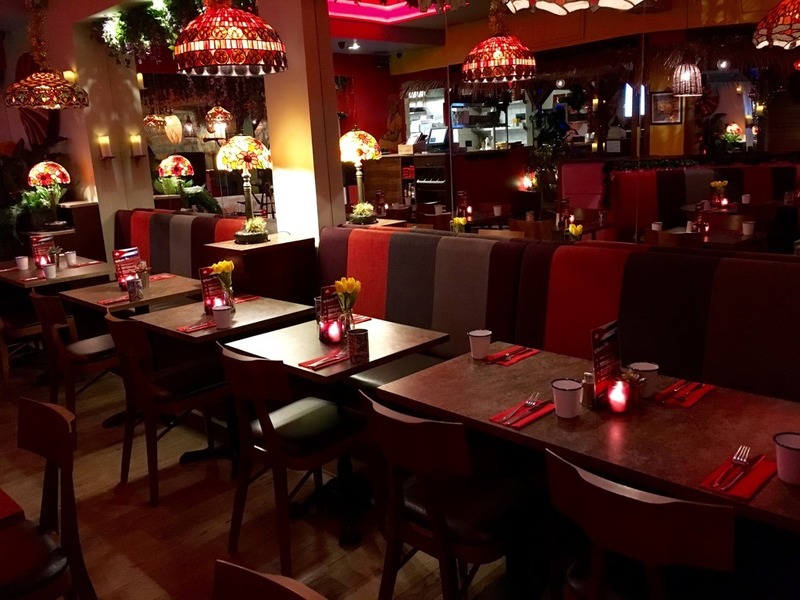 Could a local restaurant really deliver that amazing Havana energy and atmosphere? 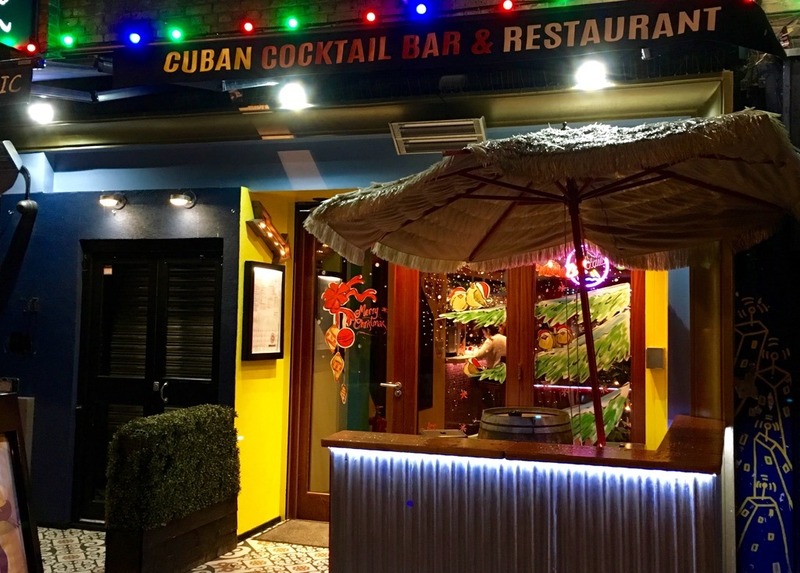 Little Havana offers ‘authentic Cuban food, cocktails and entertainment every Tuesday to Sunday’. So I trekked up to Camden to find the restaurant just over the road from the underground station.The kitchen is run collaboratively by Havana-born chef Raul Jerez Rodriguez together with chef Pedro José Martínez Ferre and the menu features traditional Cuban classics such as chicharrones de cerdo (traditional Cuban pork scratchings); tamales Cubanos (ground corn tamale wrapped in corn husk) and croquetas de bacalao (salt cod fritters topped with crispy cod skin) to start. Mains include chillindron de chivo (Cuban goat stew) and veggie favourite tostones rellenos a la criolla con congris y ensalada aguacate (stuffed fried plantain with black bean rice and avocado salad). The interior is brightly coloured and decorated with Cuban folk art on the walls. It seemed advisable to sample some of the extensive cocktail list, predominately rum-based with frozen daiquiris taking centre stage. I took advice from the barman who recommended the El Presidente, a deliciously summery blend of Havana 3 year old, lime juice, pineapple, grenadine that was not too sweet. My starter was the Yuca Frita Fried Cassava wedges with black bean houmous. 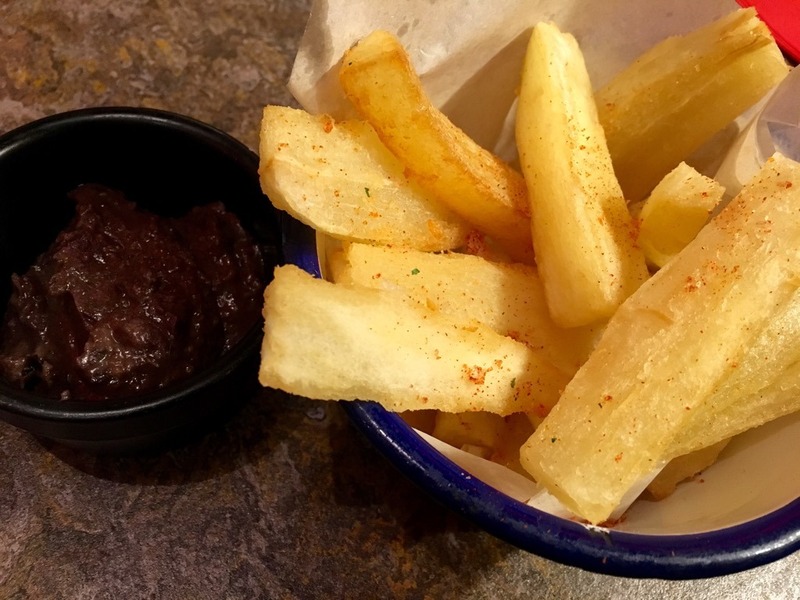 The cassava was crisply fried and seasoned with smoked paprika – it was a great foil for the rich black bean sauce. 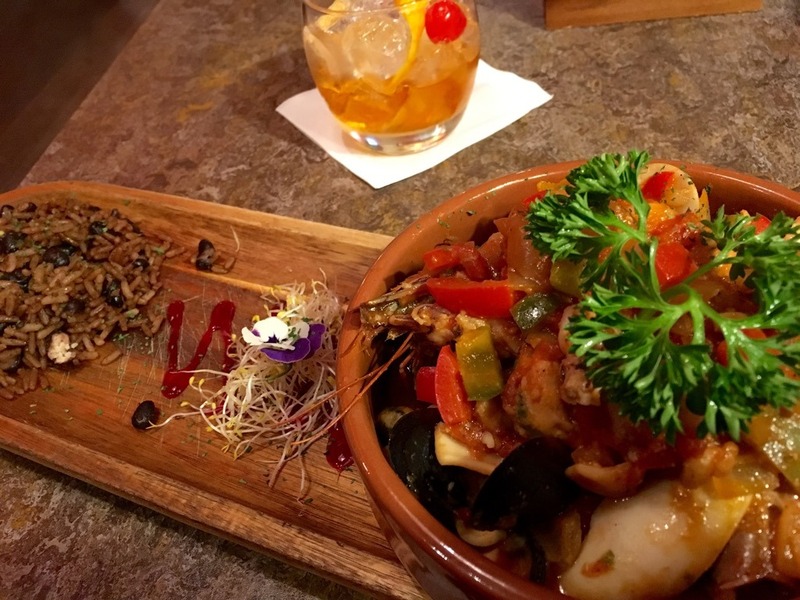 For mains I chose the casuela de marisco Don Cangrejo – a generous plate of beautifully spiced mixed seafood cooked with tomato sauce, white wine, chilli and garlic. 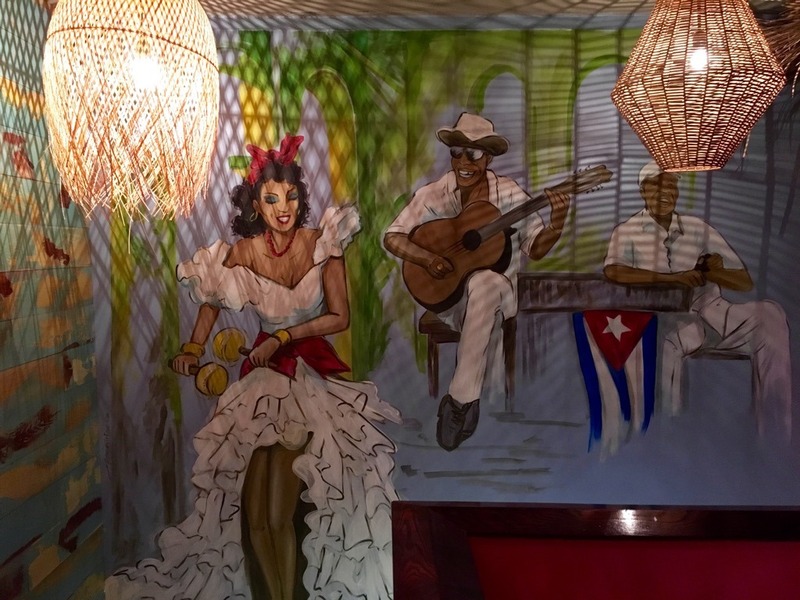 I ordered a fluffy dish of arroz moros – black bean rice -to accompany and gradually started to ease into the Havana vibe. That process was assisted by my next drink- a rum Old Fashioned – a mix of Havana 7-year-old, angostura bitters, sugar and orange peel. It was a proper drink with a kick, perfect for a freezing London evening bringing the heat of Havana to Camden. 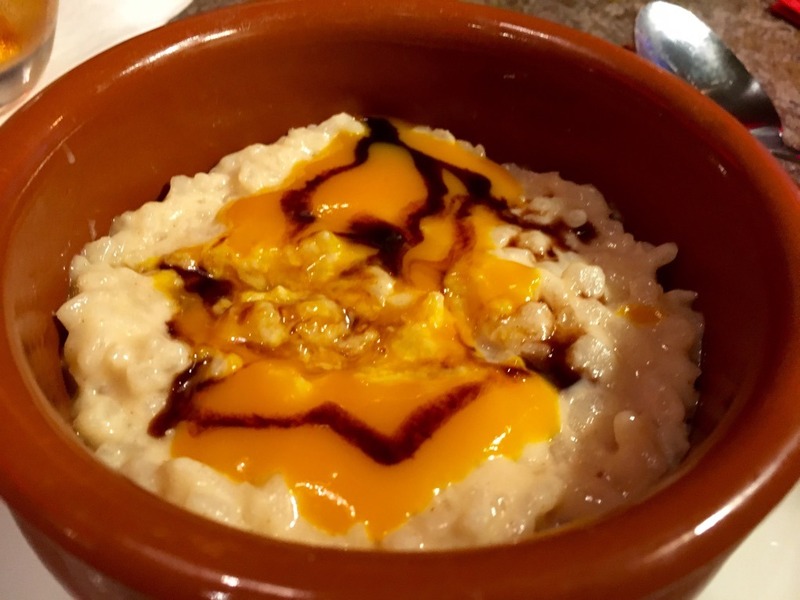 Making the big call not to go with the flan dulce de leche (classic caramel flan) for dessert I went for the arroz con leche con pulpa de mango – a perfect rice pudding dusted with cinnamon and sweetened with mango purée. 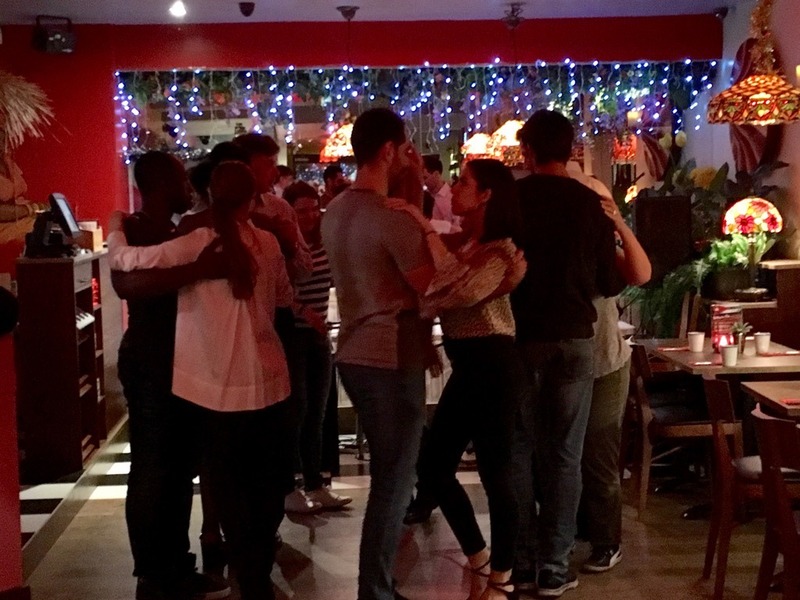 Cuban percussionist Orsete Noda curates Little Havana‘s weekly programme of Cuban music and dance with visiting salsa dance schools running classes every Tuesday evening and Sunday afternoons, live Cuban bands every Friday and Saturday and DJs until late every Saturday night. And this is where I screwed up… As I was finishing my dessert the floor was cleared for the Salsa lesson and keen dancers appeared through the door. They were a mixed bunch of couples and singletons, a variety of ages, genders and abilities but all united in the desire to have a good time. I had just had two cocktails and three courses of food and it wouldn’t have been advisable for me to join in, even though I’m an enthusiastic if totally unskilled dancer. The teacher was full of energy and encouragement starting with a high-speed warmup followed by each step being broken down and repeated. The class was presented with lots of good humour and by the end, you’ll know how to salsa and mambo and be a lot sexier than when you walked in. I knew I’d missed out and will have to go back! 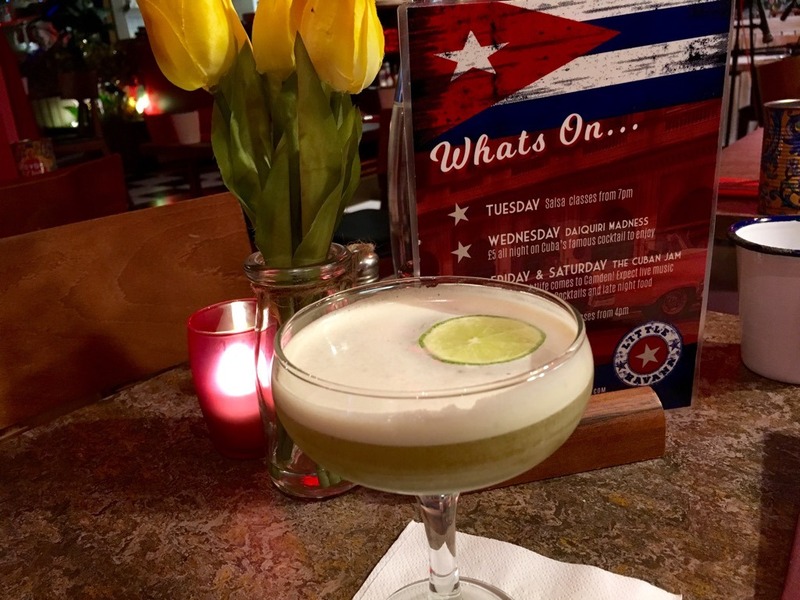 With Daiquiri Wednesdays – cocktails on offer for just £5 all night – and leisurely weekend lunches Cuban-style featuring a range of Cuban grilled sandwiches, there’s a host of good reasons to visit Little Havana. Havana the city is a one-off. 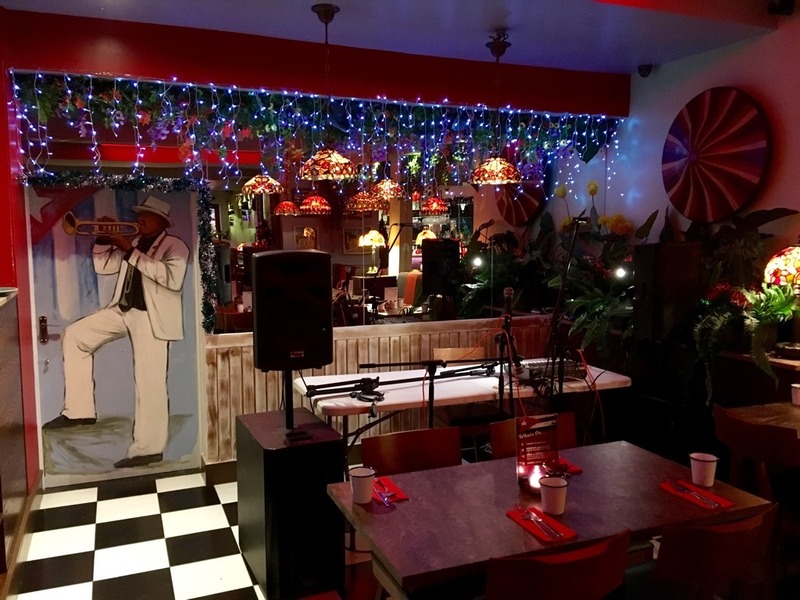 There is nowhere else like it in the world – but if you’re in the mood for a slice of Cuban food and culture and a guaranteed good time then you should check out Little Havana in Camden.